Mary Kopec, Facilities Manager Mary grew up in Woodstown and was a member of St. Joseph’s church with her parents and seven siblings. Mary and her husband, Tom, have 5 children and 2 grand-children. They reside in Woodstown and are active members of the parish. Mary has volunteered in the music ministry, along with 2 of her daughters, for approximately 7 years, and has also volunteered in teaching religious education to 3rd, 4th, and 8th grade students at various times. Mary accepted the part-time role of Facilities Manager for the Woodstown and Mullica Hill locations following Anne Nowicki’s retirement in the summer of 2018. Mary is a graduate of Our Lady of Lourdes Nursing School and Widener University (BSN) and has been a Registered Nurse for 34 years. She is also a part-time clinical nursing instructor at Salem Community College. Mary’s favorite roles will always be that of Mom and Grand-mom. Jennifer has her BS degree in Finance from the University of Delaware, and her MBA from West Chester University. She brings with her 15 years of corporate accounting experience. Working part-time fits Jennifer’s current lifestyle as her main responsibility, along with her husband Brian, is raising their 5 children. Her three oldest daughters, Jessica, Ashley, and Danielle are college students, Brendan attends Salesianum and Caden attends Guardian Angels Regional School. Jennifer and her family are members of St. Clare of Assisi Parish in Swedesboro. Jim has 30+ years of music ministry experience. He has been a leader of contemporary music ministry since 1979. Jim & Grace married in 1972 and they have three children. Jim plays the guitar, keyboard, flute, woodwinds, and hand percussion instruments. 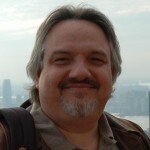 He has served in the roles of leader of song, cantor and director of adult and children’s choirs. Jim has been a team member for David Haas, Gregory Norbert, and Grayson Warren Brown concerts. He has played guitar for several National Pastoral Musicians Conferences as well as being a musician for several concerts featuring John Michael Talbot and Bob Hurd. Beginning in January of 2007, Jim was a Co-Director of music ministry at Holy Name of Jesus Parish. Jim is certified as Cantor, Choir Director, and has received training from the Pastoral Liturgy Institute. Sherry moved down to Mullica Hill from North Jersey in 2002 where she raised her three sons, Gerod, Luke and Dean. She has a BA in Elementary Education and Psychology from Caldwell College. Sherry also obtained a certificate for Teacher of the Handicapped from Monmouth University. She continues her studies towards a Masters in Theology. Before joining our team at CCHS Sherry was the Youth Ministry Coordinator at Mary, Mother of Mercy Parish in Glassboro. Sherry feels so blessed to have the opportunity to combine her love of faith and children and join the parish family here at The Catholic Community of the Holy Spirit. Fran grew up in Paulsboro, NJ. She moved to East Greenwich Township when she and her husband were married. Fran and her family have been members of the parish for 21 years. She has been working in the Religious Education Department for 14 years. Fran has served on many parish committees and organized several fundraising events. Before being hired by Holy Name of Jesus Church, Fran ran her own successful small business while raising her two boys and volunteering as a Den Leader in Cub Scouts, Room Mother and much more. During this time she helped shape the physical, mental and emotional development of young people which lead to her interest in working with children in Religious Education. She enjoys working with the Catechists, the parents and the students. Fran was happily married to Bob DeMarzio for 33 years. Bob passed away on their wedding anniversary on 8/20/2015. Fran has 2 sons, Robert Jr. and Joseph. Robert and his wife, Tammi, have two children. Robert is a Disaster Recovery Analyst for the NJ State Police – Office of Emergency Management. Joseph works for the Justice Department in Delaware. In her limited spare time, Fran enjoys baking, crafting and spending time with her wonderful grandchildren. Christi Unger, Youth Minister & Sacramental Coordinator Christi is a South Jersey native who lives in Glassboro with her parents and two sisters. She attended St. Bridget Regional School in Glassboro and has been a member of Mary Mother of Mercy Parish in Glassboro since childhood. She earned her Master’s degree in Occupational Therapy from Stockton University in 2016, and has been working as a licensed therapist for over a year. She has had a love for youth ministry since her own experiences in youth group and sees a deep need for it to have a place in the Church. Christi is excited to be given the honor of serving our community. Teresa and her family have been parishioners for many years and she has volunteered as a Catechist in several different roles. Teresa initially moved to Mullica Hill with her husband, Jan and two children in 2002. Between 2005 and 2007, she and her family took up residence in Hamburg, Germany and then returned to Mullica Hill in October 2007. Teresa is originally from the Mid-West and called Illinois home for 28 years. She graduated from Illinois State University with a B.S. in Education. Teresa was a 1st Grade teacher for 4 years prior to the birth of her daughter in 1999. She had been a stay-at-home mom before joining the office staff as a part-time Office Manager in November 2015 and is currently the Full-Time Office Manager. Her son, Drew, attends Bishop Eustace Preparatory School and her daughter, Katie, is studying at Northeastern University.